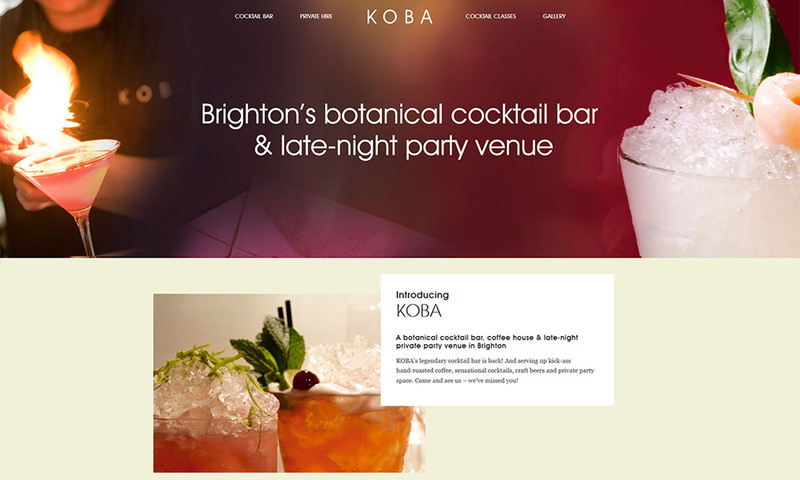 Koba – one of Brighton’s top cocktail bar & late-night private party venue in Brighton have recently relaunched. As one of our oldest clients, we have updated their website to reflect their newly refurbished premises. Taking inspiration from images of their excellent botannical cocktail range, the brochure site includes an Instagram gallery and introduction to their services offering cocktail classes and private party hire.